Bar Virgile, located in the heart of downtown Durham, is a restaurant and bar specializing in craft and classic cocktails as well as an ever changing dinner and small plates menu. We source our products from the area's best purveyors, and we rely on a dynamic in-house team to execute a high quality, high standard operation. You'll always find friendly and knowledgeable service, a bustling atmosphere and thoughtful offerings--all of which have made us a landmark, Triangle area destination. Bar Virgile is an exciting food and beverage partnership between Scott Howell and Daniel Sartain. A native of Asheville with a deep, family based love of food, Howell’s dishes are sublime yet simple. Trained at the Culinary Institute of America, he brought his curiosity, energy and his genteel manners to the New York culinary world. Upon graduation from the CIA he did his internship at such notable restaurants as Jam’s and Arcadia. In addition to Bar Virgile, he is the owner and executive chef of Nana's, NanaTaco, and NanaSteak. Sartain has worked in restaurants in the Triangle for the past 20+ years. His passion for food, wine and service began at Magnolia Grill. He has managed and built wine programs at several notable restaurants, most recently, Nana's. Sartain was eager to partner with Scott & Aubrey to create Bar Virgile and acts as the Operations Director. His passion for cocktails and bar culture is contagious. Aubrey Zinaich is a partner in Bar Virgile. She is a Certified Sommelier and Certified Specialist of Wine (CS & CSW), and enjoys researching interesting wines & sherry selections for Bar Virgile. Her years of front of the house management in reputable Triangle restaurants gives her a unique and extraordinary perspective on guest experience, quality control and and community relations. 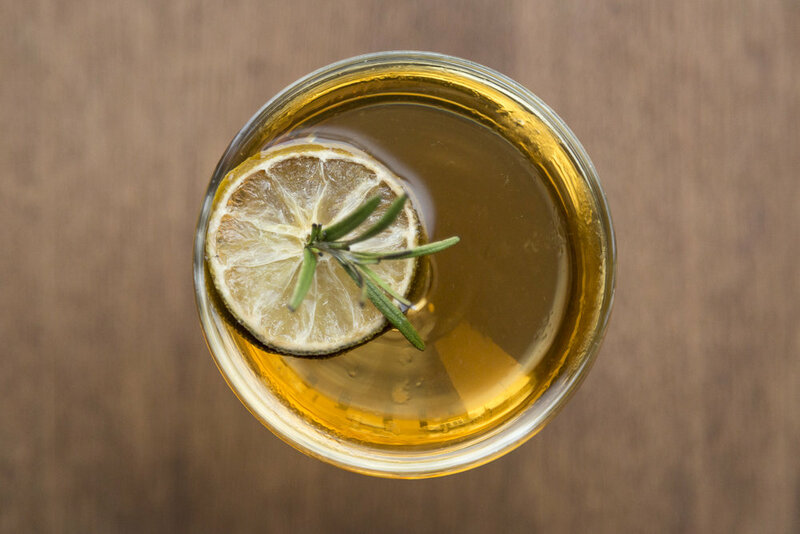 Boasting one of the largest Spirits selections in the Triangle, Bar Virgile offers a wide variety of whiskey, gin, rum, agave and much more. Our focus is on craft and classic cocktails as well as seasonal offerings. We pride ourselves on technique, quality ingredients and warm hospitality. An ever changing beer and wine program rounds out our award winning bar and restaurant. Executive Chef, Scott Howell, has teamed up with Kyle West, our Chef de Cuisine, to create a diverse and technique driven menu. You'll find poultry, meats, seafood, local vegetables, charcuterie and cheeses and much more. Our open kitchen allows the guests to experience, first hand, the energy of a very busy kitchen. We pride ourselves on quality and design with our offerings. From house made bread to scratch made desserts, we work tirelessly on creating dishes our guests love. You can sit at the bar on our comfortable red bar stools or bring a group to enjoy one of our leather banquettes. All seats in the dining room and bar area are first-come, first-served. We are conveniently located downtown near the Durham Performing Arts Center and the Carolina Theater. Many of our guests stop by for a drink or a bite to eat before and after the shows. We do not accept reservations, and our space is not available for private events. Located on Mangum Street between Main and Ramseur next to Church Street Parking Garage in the heart of downtown Durham.